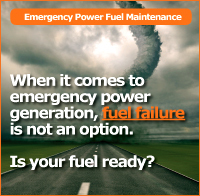 Fuel Management Services, Inc. offers products that will maximize the performance and maintain the storage quality of your fuels: heating oil, diesel, biodiesel, low-sulfur fuels, gasoline, and subsequently, your burner or engine in a particular application. Click on each product to learn more about its application and specifications. Contact us today to learn more about these products and how we can help you improve the performance of your fuel. Select product name for more information. 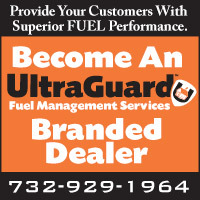 A heating oil treatment designed to reduce fuel-related service calls and increase customer satisfaction with oil heat. NEW! - 8oz Bottles available! Click here for details. A unique water displacing/corrosion inhibiting lubricant. Designed for diesel fuel and heating oil to reduce the effects of wax and particulation while increasing cold weather efficiency. Designed to keep your oil flowing in the coldest temperatures. A burn-rate modifier and lubricant in one. The ultimate fuel inhibitor composed of a dispersant, a demulsifier, a corrosion inhibitor, a metal deactivator, and a polymerization retardant. Test kits that detect microbial and fungal growth in fluids, including distillate fuels. Click here for details. The Fuel Sampling Kit includes everything that a contractor needs to obtain samples from a fuel storage tank and send them to Fuel Management Services for analysis. Included are sample bottles, a pump and tubing, bottle labels, packing supplies and prepaid FedEx mailers. After collecting samples, the contractor can quickly and easily send them to the Fuel Management Services laboratory to test for quality and contamination issues. The samples travel by FedEx Ground. Our laboratory staff tests the fuel and generates a report with comments on the condition of the fuel. We also recommend what corrective actions, if any, are needed to correct the problem.